People are often very rude about ‘big push’ approaches to development – the idea that you can kickstart a country (or a millennium village) by simultaneously shoving in piles of different projects, technical assistance and cash. The approach hasn’t got a great track record, but now a kind of micro Big Push, targeting the ‘ultra poor’ in a range of countries, is showing some really promising results. Originally appeared on the Oxfam blog. 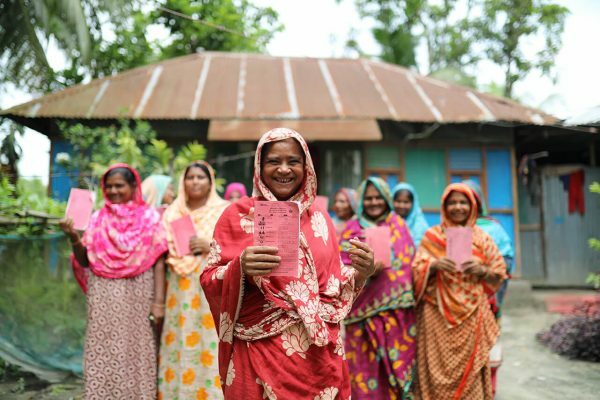 The approach has been pioneered by Bangladeshi development organisation BRAC, which aims to help households escape extreme poverty by supporting women to set up their own small businesses. 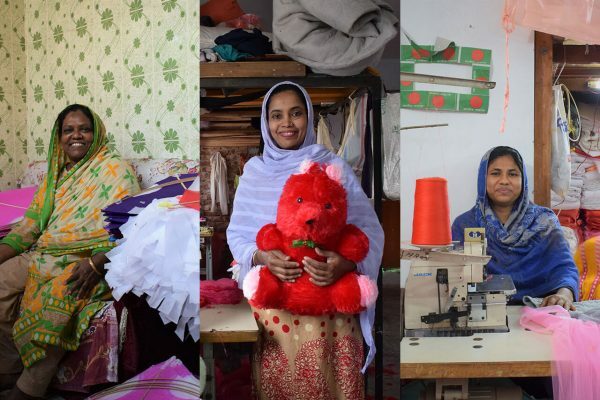 BRAC provides both assets and skills training for some of the poorest women in Bangladesh. 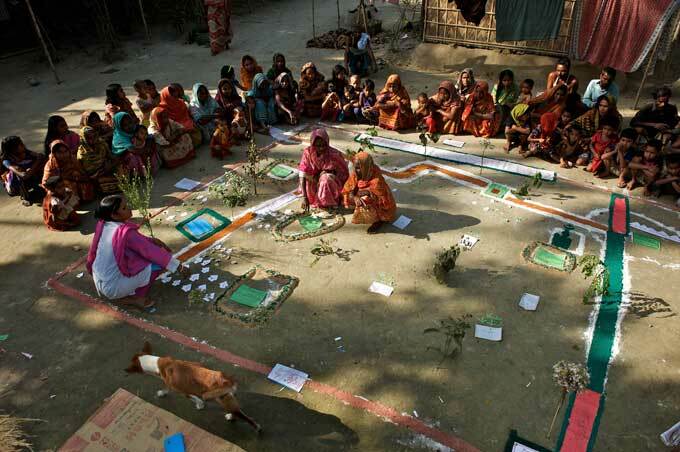 The women in the villages effectively choose between casual wage labour in agriculture or working as a domestic maid, and self-employment in livestock rearing. Before BRAC arrived, the poorest women were far more reliant on casual wage labour, while women from wealthier households were predominantly engaged in livestock. This division matters. Hourly earnings for wage labour are on average about half those for livestock rearing, and livestock produces throughout the year, whereas demand for agricultural labour is seasonal. But the barriers to entry for livestock rearing are higher – ie, you have to buy a goat or cow in the first place – meaning that the poorest don’t generally get to do this work. 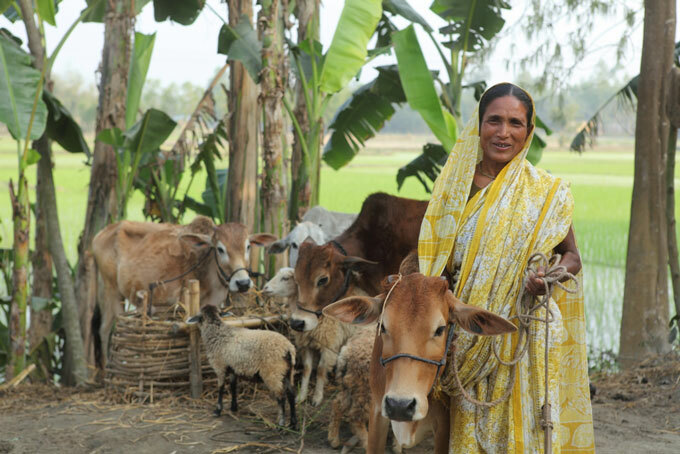 So BRAC provided livestock worth about USD 140 per woman, and two years of training worth roughly the same amount. Although the programme ended after two years, the benefits have continued to accrue: After four years, the ultra poor increased hours devoted to livestock rearing by 361 per cent, while hours devoted to maid services and agricultural labour fell by 36 per cent and 17 per cent, respectively. Working 22 per cent more hours and 25 per cent more days, earnings increase by 37 per cent. 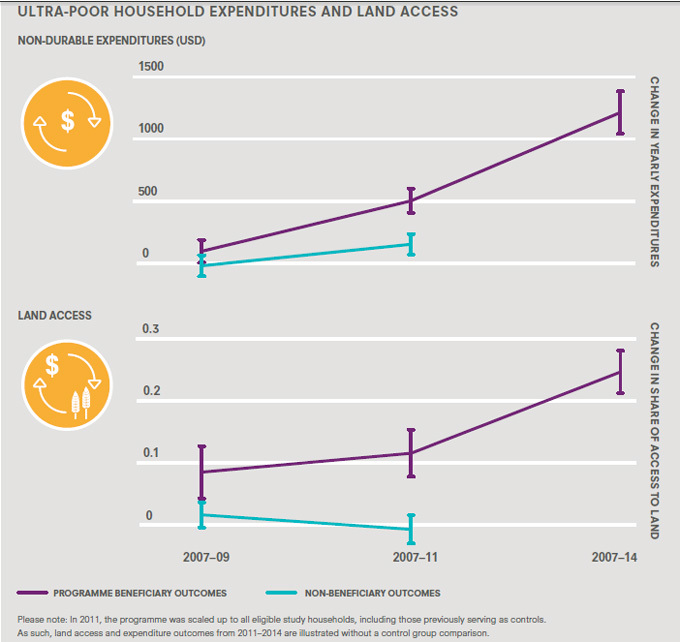 Benefits go beyond income: Four years after the initial transfer – and two years after direct programme support ended – the programme resulted in a 9 per cent increase in per-capita ‘non-durable’ (ie, food) consumption and a decline of 8.4 percentage points in the number of households living on less than USD 1.25 per day. Household cash savings increased nearly nine-fold, the value of household assets more than doubled and the household saving rate increased by 25 percentage points from an initial value of close to zero. The value of land owned by the ultra-poor rose by 220 per cent, the value of productive assets tripled, and beneficiaries became more engaged in credit markets. Overall, the programme seems to have triggered the kind of long term take-off that Big Push advocates everywhere dream of. The change in spending on non-durables was 2.5 times higher after seven years than after four, and the increase in land access doubled (see graph). Identifying women who are ultra poor using PRA. 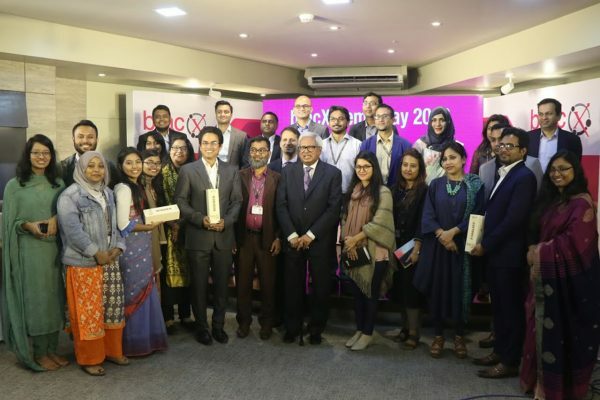 As for donors, the IGC team worked out that on average, for every GBP 1 invested in the programme there was a return of GBP 5.40 in terms of increased income and assets for the women concerned. The report doesn’t discuss attitudes much, merely stating that poor women are poor because they are shut out of better jobs. Give them the assets and the training and they happily switch to better jobs. I wonder what happens when you take this approach into a more caste-ridden society such as large parts of neighbouring India, where barriers to social and economic mobility include attitudes both among poor women and their neighbours? Is there no fallacy of composition at work here? Can everyone move from labour to raising livestock without messing up the markets for both? I’m sure there will be lots of much techier people than me trying to find fault, but on the face of it, this looks like a truly impressive piece of research, and an even more impressive approach to ending extreme poverty. The approach has now spread to some 20 countries, and research in many of these suggests similar degrees of success. If the SDG commitment to ‘getting to zero’ is to mean anything, these kinds of programme are going to play a vital role. BRAC founder Sir Fazle Hasan Abed launched the report at LSE yesterday. Watch a three-minute summary of the research findings here. Duncan Green is a senior strategic adviser at Oxfam.